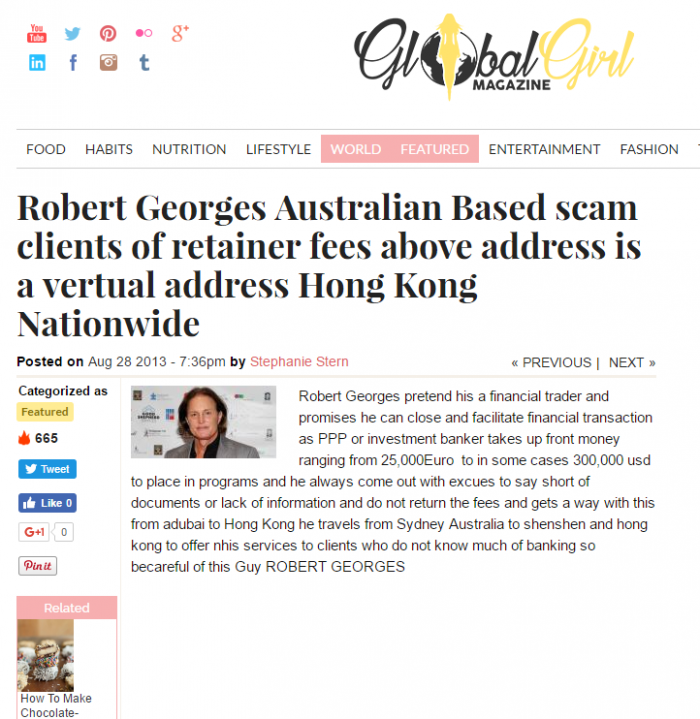 globalgirlmagazine.com, another fake website for the sole purpose of planting content in order to file fake DMCA reports. A website which pretends to be online since ages, but was actually set up only on 1st April 2016. 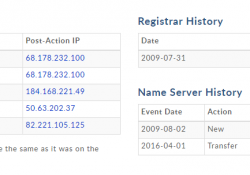 Before 1st April 2016, it was just a parked domain, as seen in the hosting history and web archive (screenshot provided below). 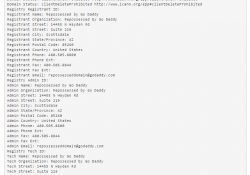 The domain was acquired by the perpetrators in June 2015 via GoDaddy auction, after the domain name was dropped by previous owners and not renewed. 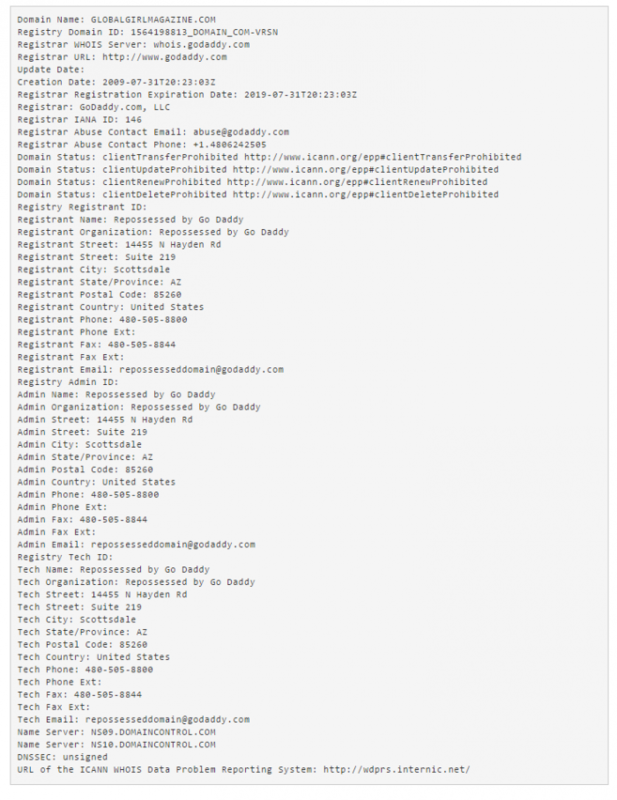 A cute way of acquiring aged domain for this scam. The site used a wordpress theme from m3themes.com. The date mentioned in the article is Aug 28 2013 . However, as we’ve proved above, the website DID NOT exist before April 2016. The image in the article is hosted at http://globalgirlmagazine.com/wp-content/uploads/2016/04/download-4.jpg . From the wordpress URL structure for media files, it is evident that the image (and the article) was uploaded in April 2016. Unfortunately for these idiots, they used the name/identity of ‘Stephanie Stern‘ to file the fake DMCA. It just happens that Stephanie Stern is a professor of law at Yale Law School, and quite amused, angry and interested in learning more about this investigation. 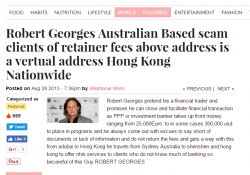 Robert Georges, of Amena Capital Ltd, has a Ripoff Report, and it obviously bothered him (and his company). He even posted a rebuttal at Ripoff Report explaining his side of the story. Looking at this Google results, with so many free blogs and webpages in his name, it is evident that he must have hired a Reputation firm. But the Ripoffreport would still rank on page #1, and it hurt. It hurt so much that he was open to committing a felony to remove that bad link. Hope it’s worth it ! EDITOR’S COMMENT : For those who might ask – ‘why and how do we interject that ‘Amena Capital Ltd’ has something to do with this fake DMCA. Couldn’t it be a coincidence ?’, we will say this – When someone goes and creates a whole new fake news site, falsifies his/her identity and submits fake DMCA to try and de-list some very targeted content on Google, it signals intent and a plan. It is obvious that ‘Amena Capital Ltd’ or someone they hired was directly involved in this crime. Amena Capital Ltd also cannot plead ignorance in this matter, since this notice on Google search is hard to miss, really.